RIR: What is it that attracts you to window covers? What is special about them, and are they unique to Russia? RIR: How did you project start? Were you just taking pictures for fun, or was it more of a research project? RIR: What were people’s first reactions to your photographs when you first started? 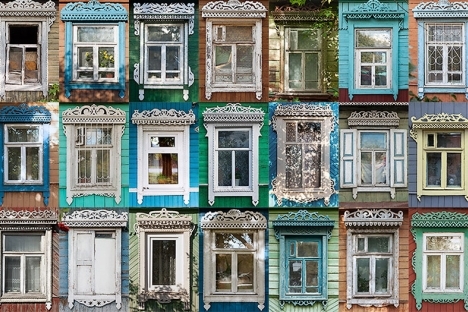 RIR: What can you learn about a city by its window covers? Are there many people in Russia who are able to “read” them? RIR: Do you have a favorite region for window covers, or, perhaps, a favorite master window-maker? RIR: You want to use crowdfunding to finance your project. How effective can this method be in Russia?